 Oak Grove is a faith community living in vital union with Jesus Christ by His grace and for the glory of God. We are people from all different walks of life, brought together and united by our common faith in Jesus Christ as Lord and Savior. Our mandate is to embrace God’s love towards us, share His love with one another, and extend that love to those who have not experienced it. We live in a messed up, dysfunctional world and our desire is that Oak Grove is a community where people find refuge, hope, healing and life in Christ. We believe every person needs to be reconciled with God; that begins a journey of learning from Him how to live as children of God through our brokenness to embrace His righteousness by a life of faith. We believe that God has given to us everything we need for life and godliness. Our passion is to journey with God and learn how to live in fellowship with Him in the midst of a messed up world. Our three-fold priority is captured by: Loving God, Loving the Family of God, and Loving those far from God. We recognize everyone is at different places in their spiritual journey. All are welcome to join us. Our Mission is to be growing deeper in our love for God; growing deeper in our love for the family of God; growing deeper in our love for those who are far from God. Our vision to see every person become a follower of Jesus and to empower each one to be a disciple-maker. We believe that Christ is what make us a community of faith. We believe there are two kinds of people in the world: Those who have life from God because they have the Son and those who do not have life from God because they do not have the Son. We believe in one God, creator and sustainer of all things, eternally existing in three persons, Father, Son, and Holy Spirit who are equal in every divine perfection and that they execute distinct but harmonious offices in the work of creation, providence, and redemption. We believe that God the Father concerns Himself mercifully in the affairs of men, that He hears and answers prayer, and that He saves from sin and eternal death all who come to Him through faith in Jesus Christ. We believe that Jesus Christis not only true God, but also true man, conceived by the Holy Spirit and born of the virgin Mary. We also believe in His sinless life, His substitutionary atonement, His bodily resurrection from the dead, His ascension into heaven, His priestly intercession on behalf of His people, and His personal, visible, imminent return from heaven. We believe in the Holy Spirit, His personality, and His work in regeneration, sanctification, and preservation. His ministry is to glorify the Lord Jesus Christ, to convict the world of sin, righteousness and judgment, and to implement Christ’s work of redeeming the lost, empowering and gifting the believer for godly living and service. We believe that God created humanity, male and female, in His own image and free from sin. We further believe that the first man, Adam, sinned by choice and became a sinner by nature. This sin and its attendant guilt and judgment are passed on to the entire human race. All mankind are sinners by nature and by choice, and are therefore spiritually dead and eternally lost. We believe in salvation by grace through faith in Jesus Christ alone. We further believe that this salvation is based upon the sovereign grace of God, was purchased by Christ on the cross, and is received by man through faith alone, apart from any human merit, good works, or religious ritual. We believe that, once received, the salvation of every believer is eternally secure because of the finished work of Christ on the cross. We further believe that salvation results in righteous living, good works, and proper social concern. We believe that the Church is the spiritual body of which Christ is the head, formed on the day of Pentecost and removed from the earth at the return of Christ for His bride. We believe that the true Church is composed of all persons who through saving faith in Jesus Chris have been regenerated by the Holy Spirit. We believe that this body expresses itself in local assemblies whose members have been baptized by immersion upon a credible confession of faith and have associated themselves for worship, for fellowship, for instruction, for evangelism, and for service. We believe the ordinances of the local church are believer’s baptism by immersion and the Lord’s Supper. We also believe in the interdependence of local churches of like faith and the mutual submission of believers to each other in love. We believe that each local church is self-governing, and must be free from interference by any ecclesiastical or secular political authority. We further believe that every human being is directly responsible to God in matters of faith and life and that each should be free to worship according to the dictates of his conscience. We believe that the supreme task of every believer is to glorify God in his life; that his conduct should be blameless before the world; that he should be a faithful steward of his possessions; and that he should seek to realize in himself the full stature of maturity in Christ. We believe in the personal, imminent, return of the Lord Jesus Christ for His Church. We believe that the righteous dead consciously enter into the presence of the Lord while waiting Christ’s return and their bodily resurrection to an eternity in the presence of God and His Lamb. The unrighteous dead enter into conscious suffering while waiting the final judgment wherein they shall be consigned eternally to the lake of fire with the Devil and his angels. We believe the following distinctives affirmed by all conservative, evangelical believers 1) Christ alone is Lord of His Church; 2) The Scriptures are the final authority in all matters of faith and practice; 3) All who trust in Christ for salvation are Believer-Priests and need no human intermediary for God’s grace; 4) The local church is autonomous, and there is no ecclesiastical authority higher than the local church; 5) Church and State are to be kept separate, each having its God ordained functions; 6) The members of the local church are to be regenerated and baptized by immersion; and 7) The biblical ordinances are two: believer’s baptism by immersion and the Lord’s Supper.